(CNN) - Secretary of State Rex Tillerson defended his management of the State Department Monday, following a host of recent criticisms from members of congress, a diplomatic union, and -- most recently -- The New York Times Editorial Board. "This department is performing extraordinarily well," Tillerson insisted to reporters at a photo opportunity. "And I take exception to anyone who would characterize it otherwise. It's just not true." He made the comments in response to a question about low morale within the agency -- an issue his own spokeswoman acknowledged on Friday. "Sure, there is a morale issue in this building," State Department spokeswoman Heather Nauert acknowledged Friday. "And that's why I say, you know, 'Folks, hang in there. We have a lot of work to be done. Please don't give up. Don't give up on this building. Don't give up on what America is doing. Don't give up on the importance of this job and career.' 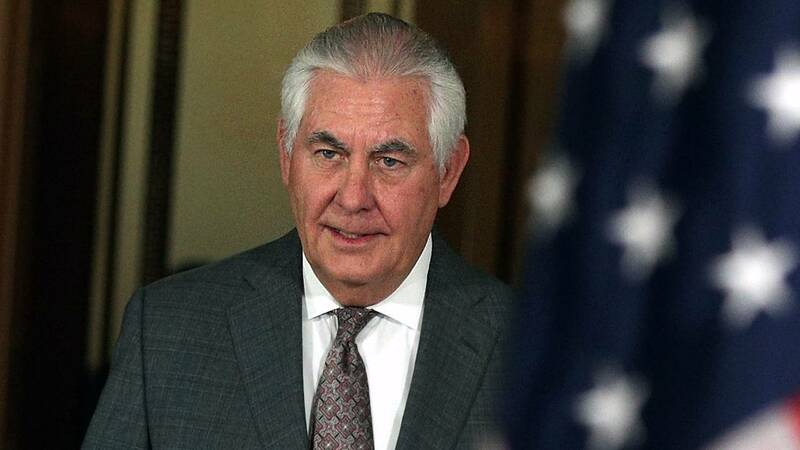 "
Responding Monday, Tillerson expressed confidence that his ongoing reorganization of the agency will eventually allay any concerns, saying, "the redesign is going to address all of that." Tillerson has come under increased pressure in recent weeks over his management of the agency, which employs over 70,000 people across the globe. On Sunday, The New York Times Editorial Board published a scathing condemnation of his tenure in the job, saying he's "obsessed with management minutiae and metrics," and suggesting that his staffing decisions are "disrupting the smooth development of career State Department leaders from entry level to the senior ranks, which will create shortages of experienced diplomats down the road." Overall, the editorial notes, Tillerson is "widely seen as ill-suited to diplomatic leadership and determined to dismantle his own department, which has been central to America's national security since Thomas Jefferson ran the place." That editorial followed a series of letters by members of Congress, who have implored Tillerson to remove a hiring freeze on the agency and embrace the knowledge of seasoned foreign service officers. Earlier this month, the head of a union representing US diplomats published a letter bemoaning a number of recent high-level resignations in the department. The State Department has countered that overall senior staffing remains at levels that are largely consistent with recent years.